Compassion #AtoZChallenge @AprilA2Z - A Rose Is A Rose Is A Rose! My theme for this year’s Blogging from A to Z April Challenge is Cultivating Happiness. Today, C is for Compassion. She was immobilised by fear when she saw him standing beside her. Panic gripped her like a suffocating vice. Two pairs of eyes met, hers like a gazelle cornered by a lion and his dark with understanding. His smile comforted her deeply despite her trepidation. And before she knew, it was over. 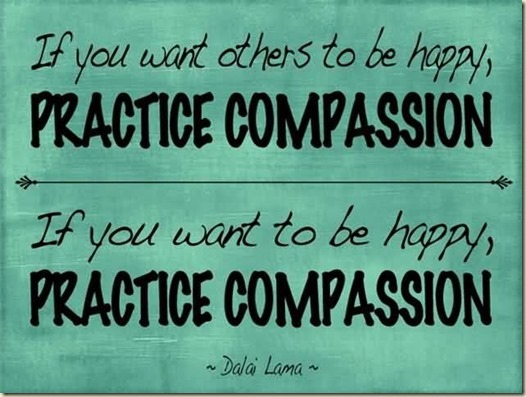 Be compassionate for yourself and other people. Selflessness is the greatest gift you can give yourself and other people. More compassion leads to more understanding and more smiles around. Bless that tooth for the compassion it brought about! Fantastic twist in the tale. I think this reaction of extreme fear is exaggerated! Dentists aren’t that bad! Oh, dentists are good people, like the one in this story. It’s our fear of pain that makes us wary of them. Ooh I didn’t see that coming. Good one Shilpa. Great twist to the tale, Shilpa! Loving your 55word stories! Oh.. Damn that tooth!! Lol..what a good one! Didnt see it coming. oooo…what a twist! lovely!! nice!! smart lady 🙂 it took me some time to know 🙂 that was a dentist, great shilpa, dalai lama quote any day is an inspiration. I just visited a dentist today, and trust me, dentists are the only people who show compassion to people with crooked teeth and weird smiles! That was a good twist. Some doctors really do show a lot of compassion towards their patients. hahaha takes me back to childhood days. Excellent! I’ve always considered dentists to be sadists at heart. Oh God! I imagined the worst. I’m so blessed that I haven’t had the need to go to a dentist till date. Dentist! God. what a good one Shilpa! I know the feeling exactly! Your writing is very poetic. Excellent. Must be a good dentist. Yeah, looks like. Thank you SG! LOL, that was funny! Dreaded Dentists! 🙂 Double D coming up! Woah! I could never have guessed that! Awesome! lol….when i read the last line….That’s your signature style Shilpa, the twist at the end. enjoyed reading this and ofcourse the message is strong. Oh the dreaded dentist visit!